The International Day of Prayer and Awareness against Trafficking in Persons is on 8 February (the Feast Day of St. Bakhita, a Sudanese woman who was sold into slavery, abused but later freed). This special day brings us together to pray for victims and demonstrate to survivors that they are not alone. To mark the day we look at exploitation on the South China Sea. So Aung and his cousin Nan Lu worked on the large fishing boat off the coast of Indonesia for three years and four months. 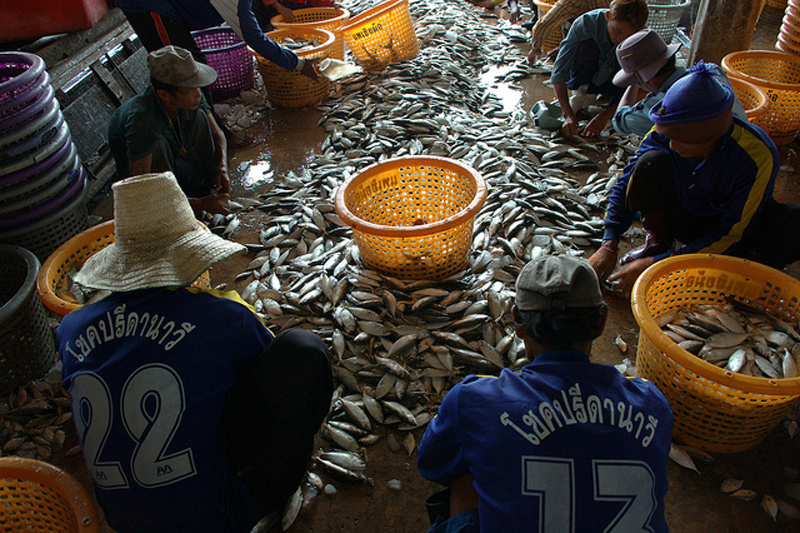 Originally from Myanmar, the young men had been trafficked through Thailand to work in the fishing industry. The growing global demand for fish and poorly regulated working practises has left thousands of young men at risk of abuse, including beatings, unpaid work and being unable to leave their boats. Long-haul fishing like So Aung and Nan Lu’s boat means ships stay at sea for months, the abuses hidden away. “Some people couldn’t cope with the exhaustion. Some people died on board,” said So Aung. Over 40 million are trapped in slavery on every continent. The practice generates a staggering $150 billion for traffickers per year—an average of $3,722 per victim (ILO). The problem is particularly pronounced in the South China Seas. Recruiters rely on large numbers of migrant workers to satiate the demand for cheap labour on fishing vessels. They are smuggled past boundaries without the necessary legal papers and end up enduring slave like conditions with little possibility of relief and escape. “Many young people don’t have job opportunities in Myanmar. They don’t have access to an education. So there is lots of exploitation that leads to trafficking into domestic servitude, shipping and construction,” says Sr Jane Nway Nway Ei, who coordinates anti-trafficking programmes for Caritas and the Church in Myanmar. “Myanmar isn’t good for earning money. We thought that as seamen that we could make much more,” said So Aung. A broker in Myanmar promised $240 per month would be sent to their families, much more than what they could make selling basic food stuffs in the markets in Yangon. It was 2012 when the cousins left the capital of Myanmar to find work overseas.”The broker sent us to Thailand, where we stayed a week. When we arrived, we were given passports but the names inside were faked. Then we went to Indonesia to work on a boat,” he said. The boat would dock every four months, but armed men would prevent them from escaping. Besides, they had no passports. No money was paid to their families for the work. 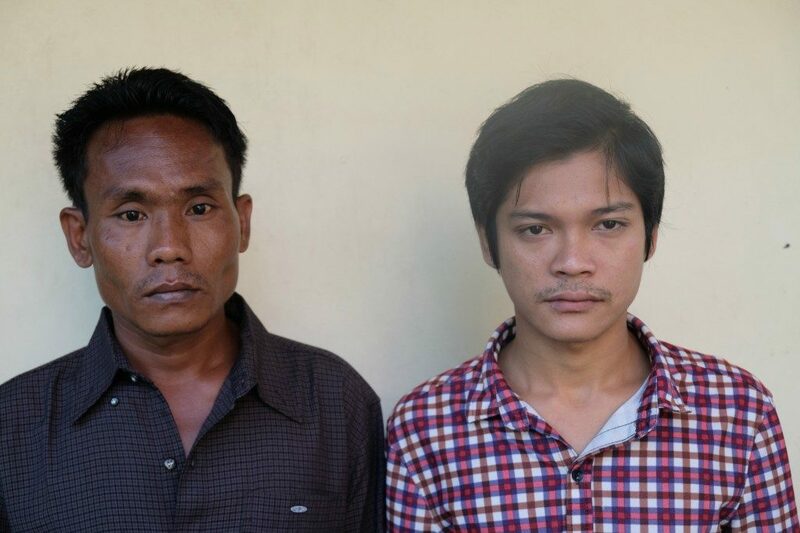 “We worried that we would never be freed. We thought that we would die on that boat as slaves,” said Nan Lu. A team of journalist uncovered the story and authorities organised the release of those held on the Indonesian island. 1000 men in all. “Now we tell people about the dangers of working in the fisheries,” says Nan Lu. “Let us also remember and commit to protecting the often forgotten seafarers and fishers, many of whom are migrants deceived into forced labour in the international commercial fishing industry,” says Olga Zhyvytsya, Advocacy Officer at Caritas Internationalis. 2018 marks international negotiations on a framework for safe, legal and orderly migration named the Global Compact on Migration. Caritas and COATNET are calling for migrants to have legal and safe pathways and do not push them to undertake risky irregular options that expose them for exploitation and abuse and to become a prey to human traffickers. “Following the Caritas migration campaign, let’s share the journey with migrants providing them the opportunity to move with dignity and in safe conditions,” says Olga Zhyvytsya. Please also visit the website: www.preghieracontrotratta.org. There will be a public audience with Pope Francis on 12 February dedicated to the day.